When heartbreak tears apart two lovers, one woman must deal with the stormy aftermath of confusion, selfishness, and mental anguish. What to do when a man abandons his commitment to love? Bestselling author Franklin White creates a topsy-turvy world of passion, betrayal, and turbulent emotions, where the characters must do all they can just to keep from drowning in a sea of uncertain loyalties and loves. Lala Paige is floating along in life with a great job, wonderful friends, and Keith, the man who stays by her side all day and night. But when she decides it's time to start thinking seriously about a family, all her well-laid plans come crashing down. Keith decides he can't remain totally committed to their relationship, and Lala won't accept anything less. As she struggles to make sense of her unraveling life, Lala must choose whom to turn to, and where her heart truly belongs. But what will she do when she discovers the real reason Keith's skipping out? 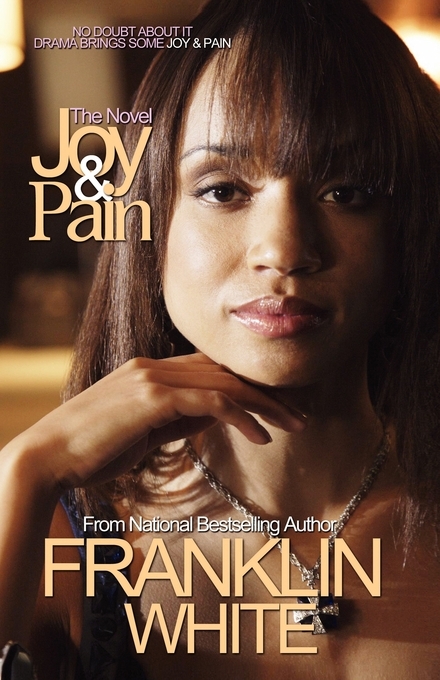 Joy & Pain explores the drama of friends, hidden family secrets and lovers who attempt to endure the test of time through the eyes of one woman who's had just about as much as she can take. Franklin White is the author of Fed Up with the Fanny, Cup of Love, Money for Good, Til' Death Do Us Part, and First Round Lottery Pick. Franklin is a graduate of Central State University and resides in Atlanta.